Commenting on the foreign policy and constitutional decisions and preferences of another nation is often problematic (consider the anger felt by many UK citizens regarding President Obama’s comments about the Brexit referendum). Given the tempestuous history of relations between Ireland and Great Britain and then between the Republic of Ireland and the United Kingdom, I shall endeavour to be careful in my wording of this post. The unthinking loyalty to the EU among centrists and leftists as an indication of wider issues raised in the culture wars. The ROI has already seen itself treated as a pawn by the EU in the matter of the “Irish Backstop”; I would direct readers to Richard Barker’s blog for discussion of this topic and prophetic words that are related to it. It is imperative, whatever the nature of the UK’s departure from the EU, that the UK and the ROI maintain and improve cordial relations between themselves, whether the ROI remains in the EU or not. True rapprochement and understanding between these two nations would be beneficial, and I am delighted that citizens of the ROI and of the UK do have good individual relationships, including via the internet. I cannot say definitively what would be best for Ireland, but it is my hope that our two countries can have fruitful economic relations and that revival from God may spread in both lands. It is my prayer that such revival will, among other things, be a means of both unity and healthy diversity embodied in loyalty to Christ. And now ye know what withholdeth that he might be revealed in his time. For the mystery of iniquity doth already work: only he who now letteth will let, until he be taken out of the way. And then shall that Wicked be revealed, whom the Lord shall consume with the spirit of his mouth, and shall destroy with the brightness of his coming: even him, whose coming is after the working of Satan with all power and signs and lying wonders, and with all deceivableness of unrighteousness in them that perish; because they received not the love of the truth, that they might be saved. And for this cause God shall send them strong delusion, that they should believe a lie: that they all might be damned who believed not the truth, but had pleasure in unrighteousness. On Good Friday, following the service, I spent time with a friend of mine from Church talking over Christian things. Later in the day, I found myself telling him that I felt (discerned?) that things were different now, that I was genuinely afraid to see the bonds of civil society being dissolved as Christians were separated from the world. I and other Christians have often talked about “being behind enemy lines”, the beginnings of the Apostasy, and the war on Truth itself. But something is different now. There is an increase in intensity such that it can actually be felt, not merely inferred by analysis of experience. I do not claim to be particularly spiritually gifted as regards discernment, prophecy, miracles, or anything associated with this. Traditionally I have relied on reason and a small a small gift of insight. However, now the situation has become palpable. What scares me about it is the human element. The conversation with my friend had turned to the subject of demons and an experience he once had. This talk had provoked my thoughts to the topic of today’s post. I do not claim to have seen demons. Rather, what I am experiencing is shock at what humanity itself is capable of when the grace of God departs. As I said to my friend, I still believe that the departure of the Restrainer in 2 Thessalonians 2 is a particular event, just as the Abomination of Desolation is. However, I feel that we are seeing a gradual preparation for that departure NOW. It is as if the lid of Pandora’s Box were gradually being lifted: the big monsters cannot yet escape through the cracks, but their impish emissaries are abroad. In one swift jerk, at some future time, the great fiends themselves will be loosed, one and all. This in itself is a sign to me, albeit not as great a sign as the rebuilding of the Jerusalem Temple. Christ, in Luke 21, tells us that one day the Times of the Gentiles will end, confirming the testimony of the Prophets that Israel will be graciously restored to the headship of the nations and the saints will inherit the rule of the earth. On some level, I believe the Gentiles know this, and are chafing at the thought that Christ is coming to take their power away. Similarly, I believe that Satan knows he is getting close to the Great Tribulation – though, like the rest of us, he cannot be sure – except in general terms – until the clearer signs appear. The Book of Revelation tells us that when Satan is finally cast out of heaven by Michael the Archangel, he rages because he knows his time is short. I believe that short time is the same as the Great Tribulation: 3.5 years. Satan’s rage is not at its height yet, but I suspect he is agitated in anticipation of Michael’s victory. Such a post must not end on gloomy thoughts, not on Easter Monday. We can fortify ourselves with the testimony of history, for example as written in Acts, and of our own times (for example, Canon Andrew White’s recollection of events in Iraq). In these dark times, Christ draws near, and even the angels show the regard God has for His martyrs and faithful servants. The enemy is motivated by hate, but God is love. The Saturday following Good Friday is a strange time. For the Disciples it was a time of trepidation and despair. Their Lord had died, and though He had told them that He would rise again on the third day, they seem to have forgotten or doubted that prophecy. The brutality with which Christ had been persecuted, prosecuted, tortured, and executed gave them all legitimate fear that they too would be eliminated to prevent the spread of Messianism. Simon Peter, that bold, fiery, and dedicated follower of Jesus had denied Him on the night of the address. The Gospels do not present Peter as close to the Cross – perhaps he was watching from a distance on the day of the Crucifixion. Although God was watching over them, the Disciples may have felt, gathered together in their hiding place, the door locked, that all they had now was each other. Even after the resurrection, they went back together to Galilee, perhaps still uncertain about what they had seen or what the future held. These same Disciples had arguments and discussions among themselves, both during Christ’s earthly ministry and after the Ascension. The Church continues to have discussions and divisions today – but it also has seen and does see moments of unity. On the night of His betrayal, Christ prayed that His followers would be one in heart and mind. I pray for them: I pray not for the world, but for them which thou hast given me; for they are thine. And all mine are thine, and thine are mine; and I am glorified in them. 1And now I am no more in the world, but these are in the world, and I come to thee. Holy Father, keep through thine own name those whom thou hast given me, that they may be one, as we are. The Apostle Paul beseeched the Philippians in similar terms. Fulfil ye my joy, that ye be likeminded, having the same love, being of one accord, of one mind. 3Let nothing be done through strife or vainglory; but in lowliness of mind let each esteem other better than themselves. 4Look not every man on his own things, but every man also on the things of others. Christ spoke of the unity that He would create between Jew and Gentile, making them into one people of God. 1And other sheep I have, which are not of this fold: them also I must bring, and they shall hear my voice; and there shall be one fold, and one shepherd. Therefore doth my Father love me, because I lay down my life, that I might take it again. Paul also believed in the unity between Jew and Gentile, but expressed it in different language. And if some of the branches be broken off, and thou, being a wild olive tree, wert grafted in among them, and with them partakest of the root and fatness of the olive tree; boast not against the branches. But if thou boast, thou bearest not the root, but the root thee. Thou wilt say then, The branches were broken off, that I might be grafted in. Well; because of unbelief they were broken off, and thou standest by faith. Be not highminded, but fear: for if God spared not the natural branches, take heed lest he also spare not thee. Behold therefore the goodness and severity of God: on them which fell, severity; but toward thee, goodness, if thou continue in his goodness: otherwise thou also shalt be cut off. And they also, if they abide not still in unbelief, shall be grafted in: for God is able to graft them in again. For if thou wert cut out of the olive tree which is wild by nature, and wert grafted contrary to nature into a good olive tree: how much more shall these, which be the natural branches, be grafted into their own olive tree? Richard Barker at his blog recently shared a word from Leisa Ebere that touched on the matter of Christian unity – among other things. Yesterday I attended an inter-denominational Good Friday service, which has been held in my area for a long number of years. The venue this year was a URC church, and they fielded the readers and preacher. Also present was the Baptist congregation that I attend and members of the local Anglican church. The service had liturgical elements taken from the URC’s service book, but there was also a level of informality commensurate with the congregational ethos of the Baptists. The venue, readers, and speaker vary from year to year. My own pastor has given sermons and led services in the past, as has the vicar of the local Anglican church. Unity was mentioned in the service and it reminded me of the word I had read at Richard’s blog. True Christians can unite around the Cross. Though we may vary in the interpretation of passages of Scripture and the application of its lessons to our lives, we still have much in common across the denominations, and we must not lose sight of that. We all agree that salvation would be impossible without the work of Christ and God’s grace. We all agree that the one true God is the God of Abraham, Isaac, and Jacob, who took on flesh and was born of the Virgin Mary as Jesus of Nazareth, the Jewish Messiah. We believe that Jesus Christ will return one day and that those who faithfully follow Him will be resurrected to life; the damned to eternal torment. As we contemplate the work of Christ this Easter weekend, and as we enjoy some rest and time with relatives, let us spare a thought for our wider Christian family, including the persecuted Church. Perhaps take a moment to think about times when Christians from other denominations have shown you the love of Christ and times when you have done the same for them. Have a blessed Easter. Maranatha! We call it ‘Good Friday’. The altar in my church is stripped bare, and the crucifix is covered, and we leave with the smoke from the extinguished candles filling the gloom of an English spring afternoon; with temperatures stuck next to freezing, the shivers could have a number of causes; but meditating on the Passion of Our Lord is enough. The sense of sorrow is an echo of that first Friday at Calvary, and it is hard to know, at that moment what is ‘good’ about it. Many years ago, I had the privilege to visit Notre Dame de Paris. It was an awe-inspiring sight, a triumph of Gothic architecture. Beloved by millions, it stood as an icon of France and France’s Catholic heritage. Now ravaged by fire, it will be rebuilt, ostensibly as a sign of France’s resilience and commitment to cultural excellence. There is a deeper problem here, symbolised by the fire in the cathedral – France’s anti-religious secularism and ethno-political turmoil. France has turned its back on God. The presence of Christians from a variety of denominations in France does not significantly alter the big picture of apostasy and decay. Lest the reader think my judgment is harsh, I would say that I hold much the same view of the United Kingdom at present and speak as someone with partially French blood. I love France and the UK, but I do not love what they have become. I am concerned about the future of the two nations, but I retain the belief that God, with whom all things are possible, can bring about repentance and transformation within the hearts of the French and the British. That such a conflagration should happen within Holy Week may be significant. In the Easter narrative, this week marks a time of separation and judgment. Jesus Christ declared to the Judean religious authorities of His day that their rejection of Him would have consequences. The Temple and Jerusalem would be destroyed. Vast numbers of Jews were slaughtered, exiled, and enslaved. The Temple, like the cathedral, was destroyed by fire. Josephus understood the devastation of the First Jewish Revolt as a recapitulation of the fall of Judah to Nebuchadnezzar in the 6th century BC. God had mercy on His people Israel and stayed faithful to His covenant with them. He brought them back in the days of Cyrus and subsequently. In the light of history, Josephus had hope that God would one day restore Israel. We see a glimmer of that hope today in the survival of the Jewish people and the re-establishment of the state of Israel in its ancient homeland. The story is not complete, however (see Joel Richardson’s discussion of the “Second Exodus”). The Temple has not been rebuilt; the religious authorities do not recognise Jesus as their Messiah, their God, Priest, Prophet, and King. Jesus has not returned and is not seated upon His throne in Jerusalem. As He left the Temple, following His denunciation of the religious authorities, Jesus declared that the Temple would be desolate and they would not see Him again until they learned to cry sincerely, “Blessed is He who comes in the name of the LORD!” Just so, France will be desolate until she learns to cry the same. Will she? Veronika West thinks so. I leave it to the reader to watch and pray. Today I would like to share with you another video from Joel Richardson’s “The Underground”. I have followed Joel’s ministry for a number of years and find him to be an excellent role model concerning studying and teaching the Bible. He demonstrates caution and respect for the principles of virtue epistemology. This episode is appropriate given the remembrance of the Exodus at Passover and Easter. At this time in history, it behoves us to consider the “Second Exodus”. I am looking forward to reading Joel’s upcoming book on this topic. The Altar of Burnt Offering has been recreated in Israel, and President Trump’s peace plan, yet to be unveiled, is expected to involve bolder pro-Israel provisions than previous peace plans. We cannot be certain about the import of such developments until more information is divulged. However, prima facie, they could be significant. For that reason, I would like to recommend two books (both available on Kindle) that I have found to be helpful in relating biblical eschatology to the practicalities of living as a Christian. Both of these books are sober explorations of eschatology, designed to give the reader clarity and encouragement and warning concerning the end times. They show fidelity to the tone and purpose of eschatological passages in the bible. Like Joel Richardson’s writings, they show caution and respect for methodical, rigorous exegesis. They are not “fringe” or fanciful – a Christian should be proud to have read, pondered, and applied these books. Joel Richardson’s sincerity and Christian ethic led me to investigate Alan Kurshner’s ministry in an open-minded manner. Antichrist before the Day of Lord led me to reject the pre-tribulational, dispensationalist doctrine I had learned and accept the pre-wrath position. Today is Palm Sunday, that day when the Church commemorates the triumphal entry of Jesus the Messiah into Jerusalem, humble and loving, riding on a donkey. My pastor’s sermon today was based on Luke’s account, which contains Jesus’ prophecy about the fall of Jerusalem in 70 AD. Palm Sunday is a day of mixed feelings. It is a day of joy, when the crowds acknowledged Jesus for who He is and asked Him to save them. Salvation represents a past, present, and future experience. In the past Christ died on a cross outside Jerusalem, the Just for the unjust, the Holy for the unholy, the Innocent for the guilty. For those who are now Christians, their request that the Lord pardon them and welcome them into the Kingdom is a thing of the past. In the present, we are to work out our salvation in fear and trembling and have the comfort of God through His Spirit who, like Christ, intercedes on our behalf and guides us. We wait for our future transformation into the glorious resurrection bodies promised in Scripture, and for the transformation of the world through the Millennial reign of Christ and the renewal of the heavens and the earth. Palm Sunday is also a day of sadness. 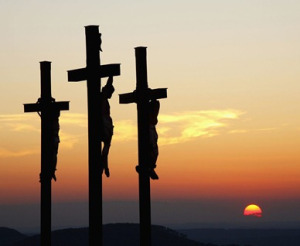 From that day we look forward to the sorrow of the Passion, the destruction of Jerusalem, and the groanings of the present age in which we wait for the return of Christ. As the feast days of Israel took on new meaning with the coming of Christ, so Palm Sunday represented a challenge to the traditional understanding of the Messianic King prevalent in the days of Jesus. Christ came for our inward transformation before He comes for the political transformation of the world. David Pawson in his excellent book, When Jesus Returns, makes the point that we must be transformed from within by the grace of God. External changes around us are not sufficient to make us “born again”. He demonstrates this argument by referencing the termination of the Millennium. Even under the reign of Christ and His saints, the world still will contain people who reject Him. Their rejection becomes apparent at the end of the Millennium when Satan is released and they flock to his banner as “Gog and Magog”, marching on “the camp of the saints”. Passion Week comes before the Parousia, but we must not underemphasise either. The transformation of our environment and politics and the redemption of our bodies are important. We stand now in the intervening gap, called by some the “Church Age”. Passover and Pentecost have taken on a new meaning with the coming of Christ. We wait now for the fulfilment of the Day of Atonement, Rosh Hashanah, the Feast of Tabernacles, and Hanukkah. Israel will be delivered; Christ will come on the day and at the hour of which no one knows but the Father; Christ will tabernacle among us, ruling from Jerusalem, and the Temple will be cleansed and rededicated to the one true God. Today I would like to draw your attention to two articles concerning Sir Roger Scruton (courtesy of Triablogue). Misinterpretation and misrepresentation are nothing new. However, the scale we are facing today poses a grave threat not only to conservatism, but to freedom of thought and expression in all their forms. For this reason, many patrons of the internet are making use of apps that allow them to comment on any website, free of control by the thought police. Trust has become increasingly important in the West when it comes to sharing views prohibited by the establishment elite. The police investigation of Caroline Farrow, combined with years of arresting street preachers for alleged breaches of public order, has made even the most optimistic evangelicals nervous. The UK is at a critical junction. If it continues along the dark path it is currently treading, the judgment of heaven will fall heavily on the nation at the return of Christ. Our nation will be as the apostate, idolatrous northern state of Israel in the days of Ahab and Jezebel. If, through the grace of God, revival comes, and national repentance occurs, there will be much work to ready us for the return of Christ. The constitution, the media, our financial and economic systems, our educational system, the NHS, and our general culture will all need to be reformed – and in short order. Can such a miracle occur? With God, all things are possible. If a priest acts ‘in the person of Christ’ (in persona Christi) then what does an extraordinary minister do? Are they acting in the ‘person of the priest’ who is himself acting ‘in the person of Christ’; in other words, are they now to be viewed as acting in persona sacerdotis? And since this is the logical conclusion, I suppose we can now call these lay persons ‘alter sacerdotus’ or “other priests”; as the priest is also known to be an ‘alter Christus’ or another Christ. Therefore, a lay minister of the Eucharist is acting in the person of Christ, twice removed which is total lunacy. All of this, of course, is preposterous. But even more preposterous is the role of an extraordinary minister of Holy Communion who is a woman; a woman who is pretending to be a priest (priestess) and carry out the ministry of the ordained priest. Talk about a confusing mess. Is there any wonder why women and men are confused about their genders, their roles in life or their limitations and their abilities? Everybody seems to think that they can be whatever that want to pretend to be and we encourage it. So no reason to shake your heads at those who want to be female priests, or those people who want to be married to their own gender or who are not even sure what gender they are. You can be whatever you want to be and people should treat you exactly like whatever you have decided that you are; though you really aren’t and it is nothing more than pretending and wishful fantasy. We are what we say we are is the new maxim. So Eucharistic Ministers is a fabricated, non-entity, that priests and bishops even utter though the Church has expressly condemned that phrase and instructed them to be called ‘extraordinary’ for they are to be used only in the most extraordinary circumstances. And women in this role seem to be totally out of place; at least in my mind. To show that Communion in the hand was once a “universal practice”, a particular text of St. Cyril of Alexandria is habitually quoted, as to how we ought to make a throne of our hands to receive the King. What is not usually noted, though, is what any reliable patrologist could verify: THIS TEXT IS OF DUBIOUS ORIGIN. In fact, it is more likely from a Nestorian bishop. Further, we have VERIFIED texts of Leo the Great, and Gregory the great, and St. Basil, and many others, that prove the exact opposite. – Pope St. Eutychian (275-283) Forbade the faithful from taking the Sacred Host in their hand. – St. Basil the Great, Doctor of the Church (330-379) “The right to receive Holy Communion in the hand is permitted only in times of persecution.” St. Basil considered Communion in the hand so irregular that he did not hesitate to consider it a grave fault. – The Council of Saragossa (380) Excommunicated anyone who dared continue receiving Holy Communion by hand. This was confirmed by the Synod of Toledo. – Pope St. Leo the Great (440-461) Energetically defended and required faithful obedience to the practice of administering Holy Communion on the tongue of the faithful. – The Synod of Rouen (650) “Do not put the Eucharist in the hands of any layman or laywomen, but ONLY in their mouths.” Condemned Communion in the hand to halt widespread abuses that occurred from this practice, and as a safeguard against sacrilege. – The Sixth Ecumenical Council, at Constantinople (680-681) Forbade the faithful to take the Sacred Host in their hand, threatening transgressors with excommunication. Such liturgical service is a response to the objective needs of the faithful especially those of the sick and to those liturgical assemblies in which there are particularly large numbers of the faithful who wish to receive Holy Communion. This function is supplementary and extraordinary (101) and must be exercised in accordance with the norm of law. It is thus useful for the diocesan bishop to issue particular norms concerning extraordinary ministers of Holy Communion which, in complete harmony with the universal law of the Church, should regulate the exercise of this function in his diocese. Such norms should provide, amongst other things, for matters such as the instruction in eucharistic doctrine of those chosen to be extraordinary ministers of Holy Communion, the meaning of the service they provide, the rubrics to be observed, the reverence to be shown for such an august Sacrament and instruction concerning the discipline on admission to Holy Communion. I don’t know about you but it all seems a bit silly to me and detrimental to our understanding of the Holy Eucharist and of the priesthood as well. I also feel complicit to this abuse by receiving Holy Communion from the hands of these individuals though I am sure that none of them (or few of them) understand how foolish their feigned priestly ministry appears and actually is. It is pure buffoonery and an abuse of the teachings of the Church. Where are the acolytes of old when such situations arose for ministerial help . . . all of which were men of course? This pretend ministry needs to come to an end as we are turning Mass into a not so well hidden version of a clown Mass. And this is why I will not receive Holy Communion from a lay person.